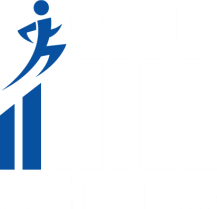 Capitol Hill Athletics is happy to offer an innovative type of stretch called FST. Done through the very knowledgeable and professional group at Active Kinetix. What is FST or Fascial Stretch Therapy? During regular stretching, a stretch is usually held for a minute before moving on to the next stretch. The problem with this is it doesn’t get rid of all the aches and pains. The great part of Fascial Stretch Therapy is that the therapist is able to find where the body is locked up and not moving like it’s supposed to. Then we are able to progressively work from there using the knowledge that the body is comprised of multiple ‘trains’ of muscles. These train tracks intertwine and so when you’re feeling pain in your low back for example, our therapists are able to follow the various trains passing through the low back and find where the problem area is. Sometimes we overuse our bodies, and at times we don’t use our bodies enough. Regardless of the route, every day physical and emotional stresses take their toll. Overtime, stress causes your fascia — the fibrous connective tissue enveloping your muscles, bones and joints — to tighten, pinching nerves, compressing blood vessels, limiting joint mobility and triggering chronic pain and discomfort. Active Kinetix - FST-Overview Video-D1 from Third Eye Productions on Vimeo. Active Kinetix - Testimonial from Third Eye Productions on Vimeo.